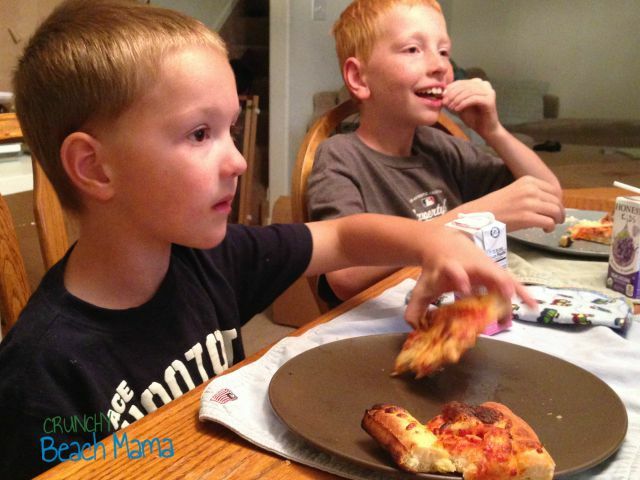 10 Second Dinner Idea from Sam's Club #FamilyPizzaCombo | More Crunchy Beach Mama! This shop has been compensated by #CollectiveBias and its advertiser #FamilyPizzaCombo All opinions are mine alone. This fall is CRAZY for us! We seriously have a practice or game to go to everyday of the week! It doesn’t help that my Hubby doesn’t get home from work until after dinner hour each night so the CRAZY mostly falls on me. I can’t complain though right? 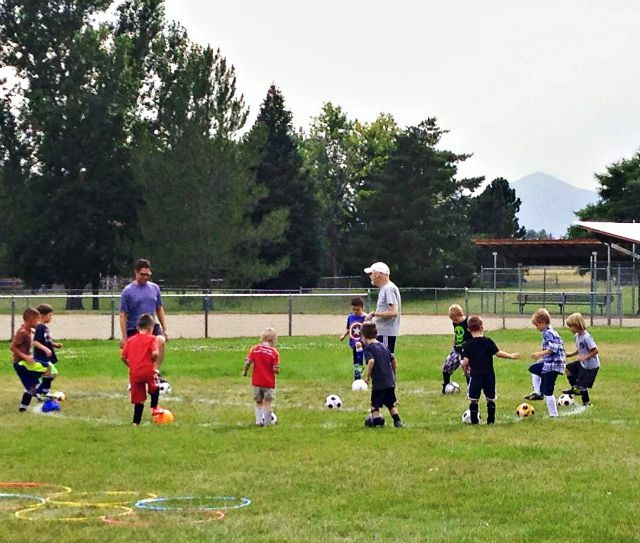 Soccer mom won’t last forever and I’ll miss these days in the future. Plus they are so cute out there! Dinner is the hard part. By this part of the night I just want to flop onto the couch and watch the newest shows. 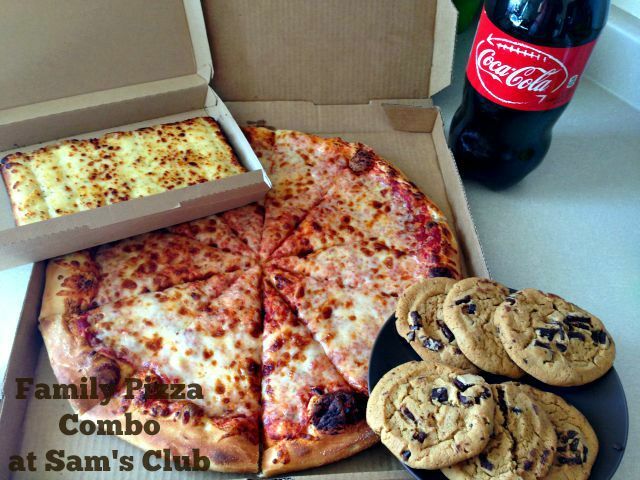 I’m all for easy solutions and I just found out about Sam’s Club Family Pizza Combo! Yep that price is right. 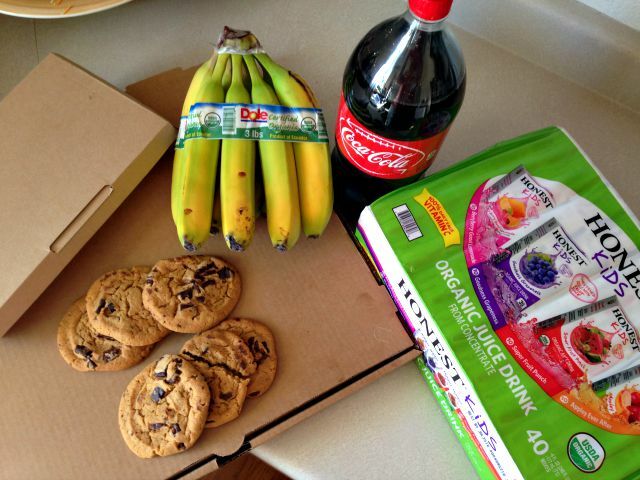 For $13.98 you can run into Sam’s Club and order a 16inch pizza, cheesy breadsticks, 6 cookies and Coke. They made my pizza fresh so I had a few minutes to wait and I ran back to the produce section to buy a healthy side to go with it. I grabbed organic bananas, but they also had ready to cut pineapple, apple slices, fruit tray and even a family sized salad! Oh, and since my boys don’t really drink soda I put organic Honest Kids fruit juice boxes in my cart too. After practice that night, I was so relieved to walk in the door knowing I didn’t have to cook up a meal. In 10 seconds (ok maybe a couple of minutes) I reheated the pizza and breadsticks, peeled their bananas, and set out the juice and cookies. Fastest meal ever! Do you know what I was thinking as we were eating? That the time I saved that night cooking and cleaning really helped me enjoy the little things – like more time listening to my boy’s chatter about school. And reading one extra story before bed because we were ahead of schedule. Like I said before, time flies and sometimes 10-second meals are needed to help us enjoy the little things that will be gone before we know it. 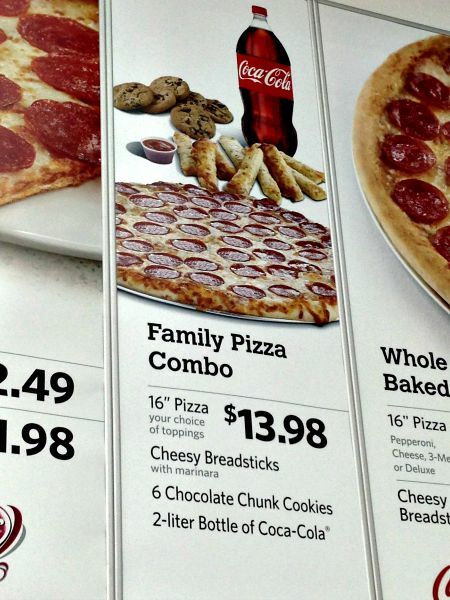 Next time you’re at Sam’s Club check out the Family Pizza Combo! I’ve shared how we’re using the Family Pizza Combo to make the most of our busy week nights! What will you do with the extra time it gives your family? I’m totally there with you! I’m in crazy Soccer Mom busy mode myself, this pizza combo is the perfect solution for those oh-so-busy nights!